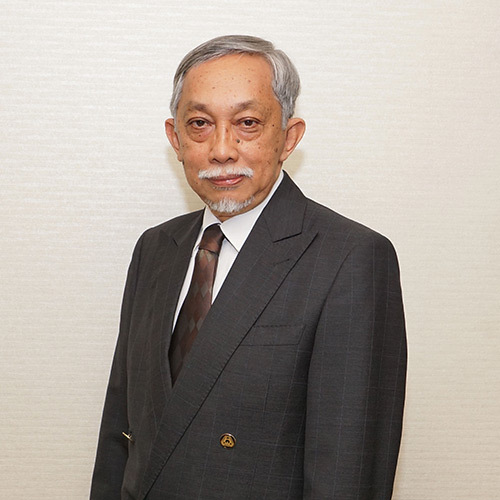 Emeritus Professor Dato’ Abang Abdullah bin Abang Mohamad Alli, aged 65, was appointed Independent Non- Executive Director on 15 May 2007. Emeritus Professor Dato’ Abang Abdullah graduated with a Bachelor Degree in Civil Engineering from the University of Brighton and a Master Degree in Structural Engineering from the University of Manchester. He is a Registered Professional Engineer (PEng) with the Board of Engineers, Malaysia, a Chartered Engineer (CEng) with the Engineering Council, United Kingdom and an Honorary Fellow of the ASEAN Federation of Engineering Organisations (HonFAFEO). He is a Fellow of the Institution of Engineers, Malaysia (FIEM), Institution of Civil Engineers, United Kingdom (FICE), International Ferrocement Society (FIFS), Academy of Sciences, Malaysia (FASc), ASEAN Academy of Engineering & Technology (FAAET). He has been appointed as Honorary Member (Academician) of the Kazakhstan Engineering Academy and the Honorary Fellow of the Institution of Engineers, Malaysia and the ASEAN Federation of Engineering Organisations. Emeritus Professor Dato’ Abang Abdullah began his career as a lecturer at Universiti Putra Malaysia in 1976, promoted to Associate Professor in 1982 and a full Professor in 1987. He was upgraded to Senior Professor (Special Grade B) in 1995 and in 2008, to Senior Professor (Special Grade A). At the same time, he was made Deputy Dean, Faculty of Engineering in 1981 and Dean in 1982. He was the Chairman of the Malaysian Council of Engineering Deans and served as a Design Engineer in Malaysian International Consultants and Perunding Bakti Sdn Bhd. He has served as a Board Member of Malaysian Highway Authority (LLM) and Board of Engineers, Malaysia (BEM). He is currently the President of the Malaysian Society for Engineering and Technology (MySET) and a past President of the Institution of Engineers, Malaysia (IEM) and Federation of Engineering Institutions of Islamic Countries (FEIIC). He was elected as an Honorary Adviser to Master Builders Association, Malaysia (MBAM) and the Chairman of CIDB Steering Committee on Industrialised Building System. He was appointed Adviser to the Proposed King Abdullah University of Science and Technology (KAUST), Saudi Arabia, Adjunct Professor of Universiti Malaysia Sarawak, Board/Council member of Universiti Kuala Lumpur (UniKL), Board Member of National Accreditation Board (LAN), Director of Housing Research Centre (HRC), Universiti Putra Malaysia and Board Member, Polytechnic Curriculum Board, Ministry of Higher Education. In addition, he has written a book on Industrialised Buildings Systems (IBS) and has been involved in various research work on housing and construction technology, specifically in the areas of low cost materials of construction, interlocking load bearing hollow block building system (Putra Block), which has been granted US, UK, Swiss and Malaysian patents, industrialised building systems and affordable quality housing. Professor Dato’ Abang Abdullah and his research team won a gold medal for the Putra Block at the International Exhibition of Inventions and Innovations, Geneva, Switzerland on 4th April 2001. He was also awarded CIDB R&D Award for research on the Putra Block Building System. In 2008, he was awarded the Dato’ Paduka Mahkota Selangor (DPMS) by HRH Sultan of Selangor.